The Mets are now looking for Pitching Coaches to replace Dan Warthen. Folks want Frank Viola because he has been instrumental to the success of the Mets pitchers that are on the main roster. The Mets say he isn’t in consideration for the big leagues. I think that’s a good thing. Leave him down in the minors and have him keep coaching the kids and get them ready for the bigs. 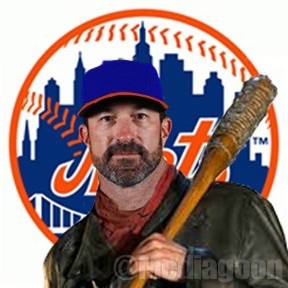 I also hope the Mets start looking for a hitting coach while they wait to see if Kevin Long gets a managerial job(I don’t think he’s coming back anyway). The NY Post talks about who are on the Mets radar for pitching coaches. I have no idea who it’s going to end up being. A club source indicated Tuesday that interviews to fill the pitching-coach position are likely to begin this week, as the Mets also keep an eye toward hitting coach and bench coach, but may not have a resolution on those jobs until Kevin Long’s status becomes clear. If the Mets want to make a splash, they could hire one of the last three World Series-winning pitching coaches, as Dave Righetti, Dave Eiland and Chris Bosio all have become available in recent weeks. In addition, the market includes highly respected names in Jim Hickey — who could reunite with Joe Maddon on the Cubs — and Mike Maddux.